Sintavia provides a range of post-production services, including hot isostatic pressing, vacuum heat treatment, machining, and surface finishing. Other in-house services include mechanical testing, non-destructive testing, scanning, and quality control, in addition to additive manufacturing. Photo courtesy of Sintavia. By providing metallurgical analysis, post-production processing, and quality testing in its own facility, Sintavia is uniquely positioned to control the metal additive manufacturing process internally, as part of the aerospace and defense supply chain. At Sintavia’s manufacturing facility in Davie, Florida, the company employs eight high-speed additive manufacturing machines to manufacture with nickel, titanium, and aluminum alloys, as well as other proprietary powders. 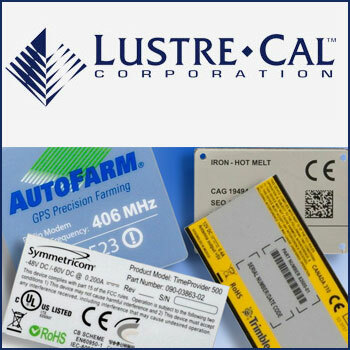 The company’s equipment lineup includes two EOS machines (an M290 400W laser machine and an M400 1kW laser machine); a Concept Laser M2 400W laser machine; an Arcam Q20+ electron beam machine; a Trumpf TruPrint 3000; and three SLM Solutions 280HL 400W twin laser machines. But its additive manufacturing machines are only part of Sintavia’s advanced manufacturing process. The machines are co-located alongside teams that focus on design for additive manufacturing, powder and metallurgical analysis, hot isostatic pressing (HIP), heat treatment, machining, mechanical testing, and precision metrological scanning and quality control. This comprehensive in-house approach enables Sintavia to exercise greater control over the quality of serially manufactured, final production parts for critical industries like aerospace and defense and ground power generation. More equipment, including larger machines, will be added going forward. Sintavia (http://sintavia.com/) recently broke ground on a new $15 million, 55,000-square-foot advanced manufacturing facility in Hollywood, Florida, that is reported to be the first facility of its kind to employ lean manufacturing principles for large-scale metal additive manufacturing. Sintavia President and Chief Technical Officer Doug Hedges recently spoke with D2P about the company’s business model, how Sintavia is different from other additive manufacturing providers, and how he sees the company developing as metal additive manufacturing continues to evolve. He also responded in writing to the interview questions. Following are his responses. D2P: Please describe Sintavia’s business model: What are you trying to achieve, as a business, and how do you go about doing that? Doug Hedges: Sintavia is the first independent manufacturer to offer a vertically integrated, end-to-end metal additive manufacturing (AM) production process. What that means is that in our facility, we design, print, post-process, and analyze all aspects of the 3D metal printing process from start to finish. 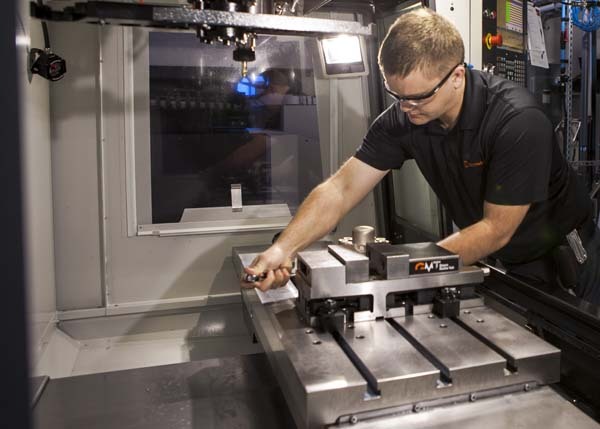 By controlling all aspects of the additive manufacturing process within our facility, we are able to rapidly validate parameters, control quality, and meet commercial manufacturing requirements for our customers. With this business model, Sintavia is uniquely positioned to supply serially manufactured components with guaranteed quality and repeatability as part of the OEM supply chain. D2P: How did the company get started? What was the idea that led to the formation of the company—the unmet need that the company’s principals were aiming to fulfill? DH: Sintavia was founded in 2012. 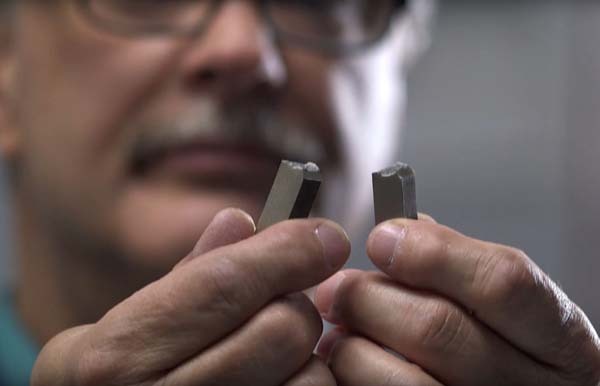 While on a tour in Germany, Brian Neff, CEO of Sintavia and CTS Engines, saw metal additive manufacturing technology and when he returned, he brought the idea back to me. At the time, I was working as CTS’s senior engineer. Two and a half years later, Brian and I opened Sintavia as a standalone company that focused on additive manufacturing. As soon as it became apparent that the big OEMs were willing to use this technology, we realized that there needed to be a supply chain that supports the technology. D2P: In what industry segments are you seeing the most demand for metal 3D printing, and what is spurring that interest? DH: We primarily serve OEM aerospace and defense companies, as these markets have excellent opportunities for additively manufactured parts. In addition to the aerospace and defense industries, the demand for lightweight aluminum components is also found in the space industry. Because space components are routinely subjected to extreme temperature differences, Sintavia offers mechanical testing in ambient, elevated, and subzero temperature environments. Metallurgical laboratory services offered by Sintavia include ambient and high-temperature fatigue testing, crack propagation growth, fracture toughness, tensile testing, and impact testing for additively manufactured parts. Photo courtesy of Sintavia. D2P: How do you anticipate that changing in the future? Do you anticipate new applications opening up in different industry segments? DH: Oil and natural gas exploration is a fairly new market for additive manufacturing, but growing quickly. In addition, ground power and industrial turbomachinery is a growing segment. D2P: Sintavia uses a Powder Bed Fusion (PBF) additive manufacturing process to produce production quality metal parts. Please briefly describe how this process works. DH: Sintavia created a process that begins in our metallurgical laboratory by examining the raw material at a microscopic level. Particle size distribution, chemical composition, and powder porosity are all important factors in ensuring a successful and optimal outcome. The process continues with special handling of the materials during printing, post production with HIP (hot isostatic pressing) treatment for density, CT scanning to verify print quality, and mechanical testing in our certified laboratory. The customized parameters, processes, and quality control procedures make it possible to offer serially manufactured parts and audit quality parts for critical industries. D2P: I understand that Sintavia uses eight high-speed additive manufacturing machines to manufacture with nickel, titanium, and aluminum alloys and other proprietary powders. What are the strengths and limitations of each of these machines that determine which applications they’re used for? DH: The main difference to understand is the difference between electron beam and laser energy sources. Electron Beam Melting (EBM) is done on our Arcam Q20 Plus machine, and it uses an electron beam as the energy source. With electron beam melting, due to the elevated build temperatures and vacuum environment, the parts are subjected to less thermal stress and can build at larger layer thickness. The surface finish is generally rougher than parts manufactured by laser additive manufacturing; however, they do have many advantages in aerospace structural applications. Laser Powder Bed Fusion (LPBF) is the technology done on our other machines (Concept Laser, EOS, Trumpf, and SLM). These machines use lasers as the energy source, and the finishing is finer right out of the machine. LPBF can make more precise and intricate geometries with a finer surface finish. It’s important to remember that printing is only 30 percent of the process. A hefty portion of the remainder lies in quality testing, mechanical testing, and post processing. D2P: Last year, Sintavia developed a proprietary process for 3D printing F357 aluminum powder to address aerospace and automotive industry needs for parts with less weight, favorable processability, and heat conductivity. In a press release, you stated that Sintavia is seeing an increased demand for additively manufactured Al-Si parts from both industries (aerospace and automotive). What’s behind this increased demand for these additively manufactured Al-Si parts? DH: There are many of types of aluminum alloys used in aerospace manufacturing applications, and more alloys are being created every year both inside and outside the additive metal industry. For instance, both Aluminum A357 and Aluminum F357 are very common aluminum casting alloys in the aerospace industry. The difference between A357 and F357 is that F357 is beryllium free. Although beryllium, as an alloy, offers some performance benefits to the finished part, there are severe environmental and health risks associated with beryllium. Aluminum components are valued in aerospace for their lightweight characteristics, which is important for flight hardware, but also makes them prone to complications if not strictly controlled. Having a robust quality system and assorted advanced analytical expertise to control the aluminum metal additive manufacturing process is pivotal to manufacturing parts based on customer aerospace requirements. D2P: Until recently, what were the technical challenges that have made the development and adoption of 3D metal printing proceed more slowly than for plastic 3D printing? DH: Plastics is a natural starting point for 3D printing in the industry and with enthusiasts. Ideally, metal additive manufacturing lends itself to production of precision parts for critical industries, and this is where 3D printing gets tricky. As a fully integrated supply chain, Sintavia is poised to meet all the quality, validation, and post processing needs, all in one facility. 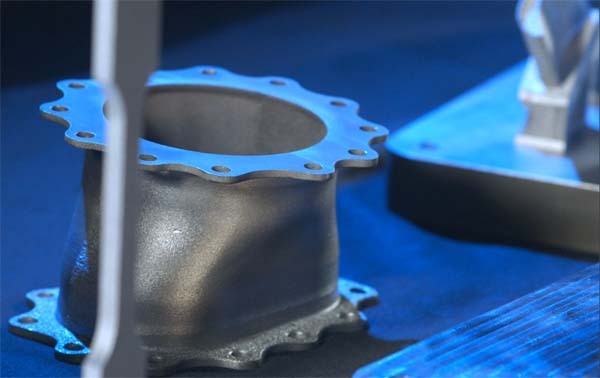 D2P: What improvements have been made to the additive manufacturing machines—specifically, those used by Sintavia—that are enabling metal parts to be printed with greater frequency and reliability? DH: Parameter development is generally still in work within the additive manufacturing industry. Sintavia devotes time and resources to the development of parameters qualified to their customer’s applications. The reason we are able to undertake this process is because of the resources we have in house to test and control production from beginning to end. An additively manufactured aircraft off-take duct produced by Sintavia. Photo courtesy of Sintavia. As I mentioned earlier, Sintavia created a process that begins in our metallurgical laboratory by examining the raw material at a microscopic level. That process continues with special handling of the materials during printing, post production with HIP treatment for density, CT scanning to verify print quality, and mechanical testing in our certified laboratory. The proprietary process was developed completely independent of any outside resources. And, once again, the customized parameters, processes, and quality control procedures make it possible to serially manufacture parts and audit quality parts for critical industries. D2P: In your view, what are some of the areas of development that might lead to wider use of metal 3D printing? DH: We believe that the hot isostatic pressing (HIP) process will always be an integral part for certain critical parts that use metal additive manufacturing. Traditionally, cast parts and 3D-printed parts appear dense, but when examined under an X-ray or metallurgical cross section, microscopic voids and defects can be revealed. These voids can cause stress risers and reduce the longevity of the component lifecycle. Hot isostatic pressing is very important in the production of critical parts because the process essentially eliminates pores or voids within a metal component. The HIP process uses heat and pressure to compress the part and remove voids in any metal part. The process is the simultaneous application of high temperature and high pressure that compresses the part to ensure near 100 percent net densification. The temperature, pressure, and cycle time are all precisely controlled during the HIP process. Components are heated in an inert gas environment, generally argon, and pressure is applied uniformly in all directions, causing the material to become plastic, and allowing internal voids to collapse under the differential pressure. The most pronounced benefit is that fatigue properties are improved since the density is increased. When performed properly, the fatigue life of a part that’s undergone HIP can be improved tenfold. D2P: How will Sintavia’s new facility, currently under construction, be different from Sintavia’s current manufacturing facility? DH: Sintavia continues to grow, and the key to our success over the past few years has been our vertically integrated approach to metal additive manufacturing. Our new facility will house over $20,000,000 of new machinery, including larger additive manufacturing equipment, an automated powder handling system, an uninterruptable power supply, an inert gas farm, and an enhanced post-processing footprint. The expansion is anticipated to bring more than 135 new jobs for skilled employees and support staff to South Florida. D2P: How will the work flow be optimized around Sintavia’s quality system, as Sintavia is envisioning? DH: Employee training is essential for quality outcomes and to adhere to the AS9100, ISO17025, and Nadcap certifications. In 2017, Sintavia was one of the first aerospace manufacturing companies to achieve the latest AS9100 standard—one of only a handful in the world. Although this is a rewarding accomplishment, we continue to strive for continuous improvement, both in our processes and in the training of our employees. Sintavia’s strength is developing repeatable processes for printing metals that result in high quality components, and understanding the processes required to achieve the desired attributes. Because we do all testing in house at our accredited laboratories, we are able to work with OEMs to achieve the print parameters based on the outcomes they are looking for in the final components. Often, this requires development of custom process parameters, heat treatment cycles, and advanced post processing finishing requirements. D2P: In the new facility, is the company planning to add any new technologies or equipment that it doesn’t currently have? DH: Sintavia has recently formed a partnership with TNSC (Taiyo Nippon Sanso Corporation), a Mitsubishi corporation and a global provider of industrial gases. TNSC will work with Sintavia to develop and commercialize gas flow processes that optimize the many benefits of metal additive manufacturing. These gas flow solutions will benefit our customers and result in superior builds. D2P: The metal additive manufacturing machines that Sintavia uses are described as “high-speed” printers. How fast are they? Of course it depends on the parts, but can you give us an idea of approximately how many parts they can produce in a given amount of time? DH: The technology for additive manufacturing is advancing at a fantastic pace, which means 3D printers are physically able to produce higher volume parts at speeds faster than ever before. New technology in the additive manufacturing industry is quickly closing the gap between traditional manufacturing and casting methods and additive manufacturing. D2P: What would need to occur in order to scale up the part volume capabilities of 3D metal manufacturing so that it can be used for higher-volume production—possibly even mass production at some point in the future? DH: Sintavia is committed to leading the charge in developing an OEM-aligned supply chain for metal additive manufacturing within North America for precision industries, particularly aerospace and defense. The OEMs that we work with are looking for a company that can fulfill the customized parameters, processes, and quality control procedures that make it possible to offer serially manufactured parts and audit quality parts. To the extent we are educating these customers, it is with respect to the ins and outs of serial production—in other words, the best way to print parts rapidly. In partnership with key OEMs, Sintavia is working to establish vertical integration of the additive manufacturing process. As we perfect the factory flow and layout for replication, we will lay the groundwork for building other new facilities closer to customer locations for direct support.